Can I have the mushroom planet? @zameran very glad to have you join 'the team'! It looks like you bring some depth of experience with the intricacies of the noise funcitons - something I very much lack. My primary focus has been LOD algorithms / asynchronous data transfer mechanisms, culling routines, etc. Haven't allowed myself to focus on much of the 'artistry' side of the house. This thread has been wonderfully inspiring for me though! Anyway, I figured I'd give a quick update. My Unity project is coming back online, basically started from scratch now that I (somewhat) know what I'm doing with it. But in the meantime, I've been working in JOGL/Processing.org, which is my go-to language of choice for prototyping. The 2nd shot shows my terrain normals. They're calculated analytically using the derivative of simplex noise. Unfortunately there's a bug right now, they diverge from numerically computed normals at >3 octaves. Still trying to figure out what correction factor I'm missing, but we're getting there. Analytic normals are way faster than the numerical ones, although you can't use them if you have discontinuities in the noise function, such as abs(). Anyway, those normals are at each vertex point... so all of the detail in between the vertices is coming from a normal map. Currently I'm just generating one and tiling it, but all the code is in there to allow for completely 'unique' normal maps for each location on the terrain. I'm not sure if that will be feasible (it takes a relatively while to generate the normal map.. many times longer than a terrain patch... but then again, the height data used to generate that normal can be re-used for finer LOD terrain patch verticies... hmm...), but will be trying it in the coming week. Nothing special with the noise functions, just basic ridged and non-ridged fbm. 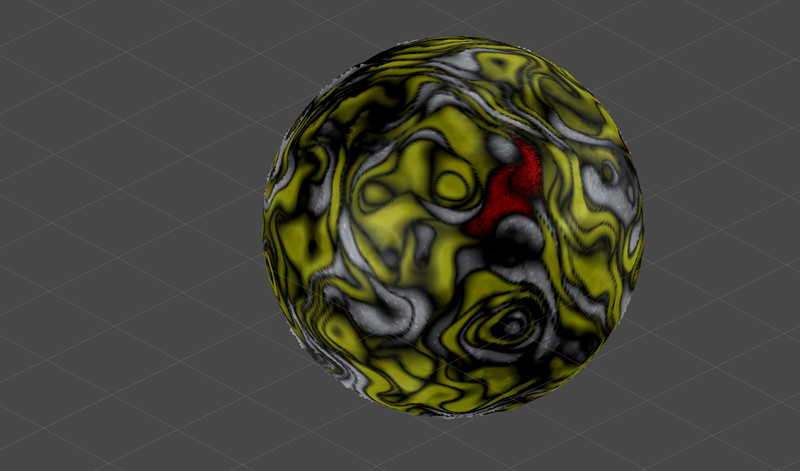 I'm curious @NavyFish, if you want to experiment a little, don't generate a normal map if it takes so long, make a bump map instead and calculate the normals in the frag shader. I kind of feel that you are offloading the shader a bit too much. I think of it as a pipe, a decently wide water pipe, feeding drops through it or feeding a steady stream yields the same performance. Nice, @NavyFish! Realy cool. My progress in normal/bump mapping bad. Atm i calculate only normlamap for Quad. If i in my noise alg. using tex2D(..,) to get data from gradient table texture for example. ... Lol. While typing this post problem solved. So. Only one bad thing that i discovered until start using Compute shaders, is that included .cginc files in CS compiles via strange method... This cause a lot of errors, strange errors. Edit: Faaa. I solved dat "cubic rubic" space engine cell noise. I will give that a shot. But calculating them real time - are you talking about using the hardware dx and dy function (at least that's what OpenGL has, not sure about DX11)? Or are you talking about numerically calculating them each frame? If so... that's the exact same calculation I'm doing, but instead of doing it once and saving the results, it'd be doing it each frame, so that doesn't make sense. Would love to know what method you're describing. Open to experiment. Glad you fixed it.. I was clueless ! Stole it from here and modified it a bit. I will release raw version of my noise engine later. Raw version will contain all branches of development, theory code, and some examples too. Just make sure you dont get in trouble with Vladimir as (depending on what you intent to release) parts of your project might include code from Space Engine, I wouldnt put that in. And we should respect each others work. Most of that code reworked, remastered, and can be founded on internet. Sure i can do smth to don't get in trouble. Sure. Edit: Only output alg. are from se. Eg. Asteroid, selena, etc. Edit: Anyway my own noise engine under dev. now. This should create a normal which, on "flat" terrain equals (0,0,1). Perhaps I'm missing something in your code, but it looks like you could save your FS a ton of work by storing the calculated normals as a normal map. tex2D is simply a texture lookup function. 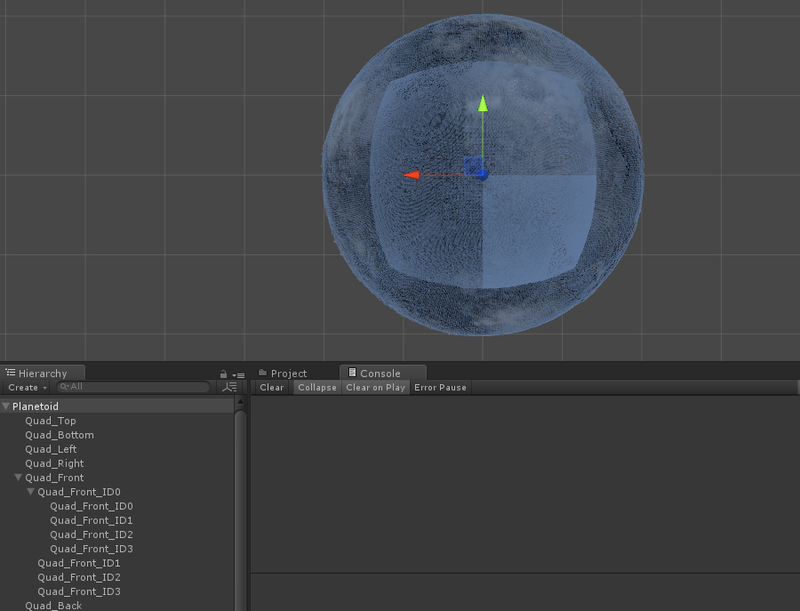 You pass it the texture (sampler2d variable) and the texture coordinates, and it returns a float4 that represents the color stored at that location in the texture. Does that help? Looks like we use the same approach. If producing a 128x128 normal map, I actually first create a 130x130 heightfield, so that the border texels in my normal map can sample from 4 neighbors. Joerg also does the same. Good enough! What's your native language? I could save 0.001 fps by modifying that code, you are really obsessively micromanaging your code @NavyFish, wait untill you get to atmospheric scattering, if you continue optimizing to that level, a hard shock is inbound. I'm running at over 60fps and Unity is capped at 60fps, there is no point in optimizing until there is a need to optimize IMO. Sure, it's a good suggestion, is it needed to even think about such optimization at this time, not for me. 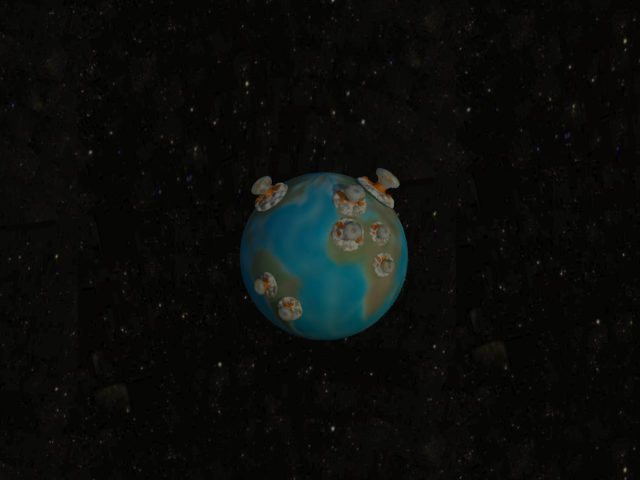 Hey there, I'm yet another guy working on a procedural planet, in WebGL. It's such an addicting, yet complex hobby. I have one question on how the normal map is computed. For me I simply create a position map, which stores the texel's position on the sphere in the output's R, G and B channels and then I store the height in the A channel. Afterwards I create a normal map which looks up the texel positions from the position map. This method works, but I will probably get better precision if I just generate the normal map from a flat height map, perhaps using Jacobian matrix to derive the tangent, I saw that method in Acko's blog. Thanks, I'm looking forward to having fun discussions on procedural planet rendering :) I will share a link to my WebGL demo when I'm a little bit more than satisfied with the result. Hey, welcome! WebGL is a fun technology. I was originally doing something quite similar, but wanted to switch over to using transform feedback to generate my data. WebGL was based upon the GLES2.0 spec at that time, which doesn't support TF. But it looks like GLES3.0 supports TF, (and GLES3.1 supports a full Compute Shader apparently! ), and WebGL2 is built upon GLES3.0. Curious how widely WebGL2 is supported.. but either way, awesome.. I love browser-based tech! Can't wait to see what you're working on. You probably don't need to have a 'position' map. Just figure out an equation to convert between world coordinates and the texture coordinates. For example, if the upper-left vertex of the patch has texture coordinates (0,0) and the bottom right (1,1), then your patch -> texture coordinates function is simply float2 texCoords = modulus(patchCoords.xy * textureScale, float2(1,1)); where textureScale is the ratio between texture : patch size (i.e. a textureScale value of 4 would repeat the texture 4 times across the patch). You're likely looking for a 1:1 ratio, though, if you're not wanting to wrap/repeat your textures. The 'resolutions' of the patch and texture do not need to match, however. The texture could be 512x512 texels, with the patch only 32x32, for example, but as long as the patch's texCoords range from (0,0) to (1,1), your texture should map to it correctly. If you do it this way, you can replace the position data in your RGB channels with the normal vector data, and retain the A channel for height values (that's actually exactly how I do it ). And by packing the height data into the A channel of the normal vector, you end up saving 2x the VRAM. This is because in GLES2.0, unpacked floats and float3s will still consume an entire float4's worth of memory in order to remain byte-aligned. hR = height value of the texel immediately to the right of this one. hL = height value of the texel immediately to the left of this one. hU = height value  of the texel immediately above this one. hD = height value of the texel immediately below this one. As expected for orthonormalized coordinate basis. Hooray for loss-less optimizations! Note that this produces the tan/bi-tan/normal vectors in what I like to call "Patch Space".. i.e. a space whose origin is at the center of the patch (although that's not neccessary), and which is oriented such that the z-axis (in this case, although it could be any of the cardinal axes) is normal to the patch (if it were completely flat). You'll need to transform this patch-space into another coordinate system - such as eyeSpace - if you want to do lighting calculations, etc, but that's a fairly typical practice. I find that having things defined in patchSpace (think of that as a type of modelSpace) as opposed to 'planetSpace' (i.e. origin at planet center, Y axis aligned with North Pole, for example) greatly simplifies multiple algorithms along the way. Hope that helps! Feel free to ask more questions or share whatever you'd like! I bet you could do this without the cross products too.. hmm... I'll get back to you on that! No dealing with expensive matrix inversions! just transpose your basis! Ya, but my method is 1:1. I will recode all to calculate VertsPerSide + 2, but output will be VertsPerSide. Very helpful if you gonna use normalmapping, erosion, etc. @NavyFish Can you explain how your LOD system work, if u still using same prototype, that was explained before by you...? I have some progress, but i can't figure out how i need change PatchCubeCenter after LODLevel : 1. Hm. I have the same, but... Ok, i will test it out, need to review my code. Thanks! Note that I use the following order, so the above code has to use different outerVectors depending on your code. these quad is. You can see that on my positions, described in this post before. How? I think screenshot will be helpful.